I bought this jacket in December 18 and it was exactly what I wanted for Fell walking with my dogs but sadly the cuffs started to fray badly and I had to return it and get a refund. I am so disappointed ! Bought this as a gift for my wife and it quickly became her favourite jacket. 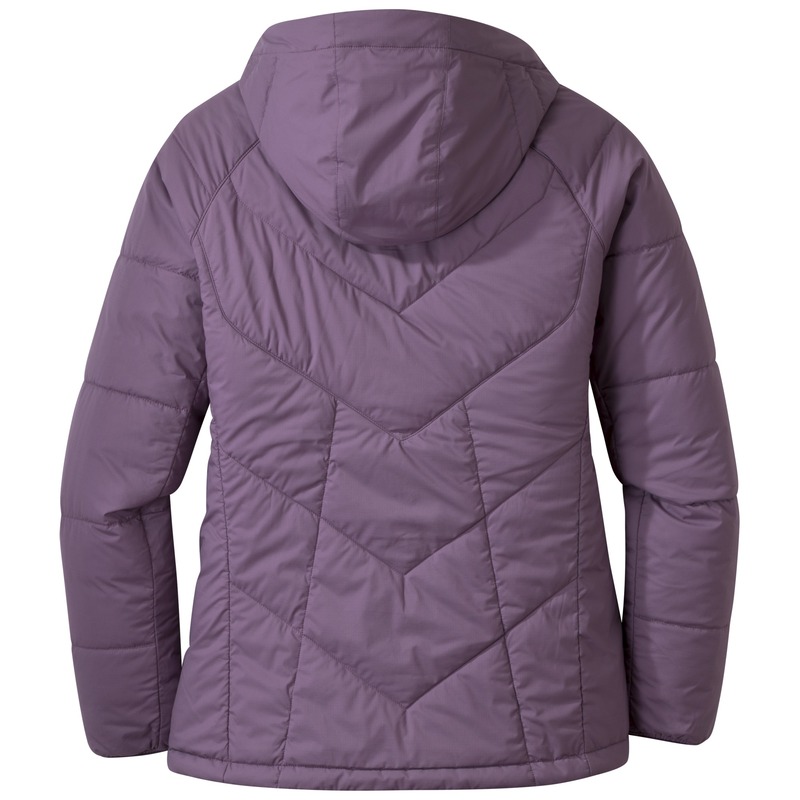 Looks great on her, lightweight and breathable, yet remarkably warm in freezing temperatures. 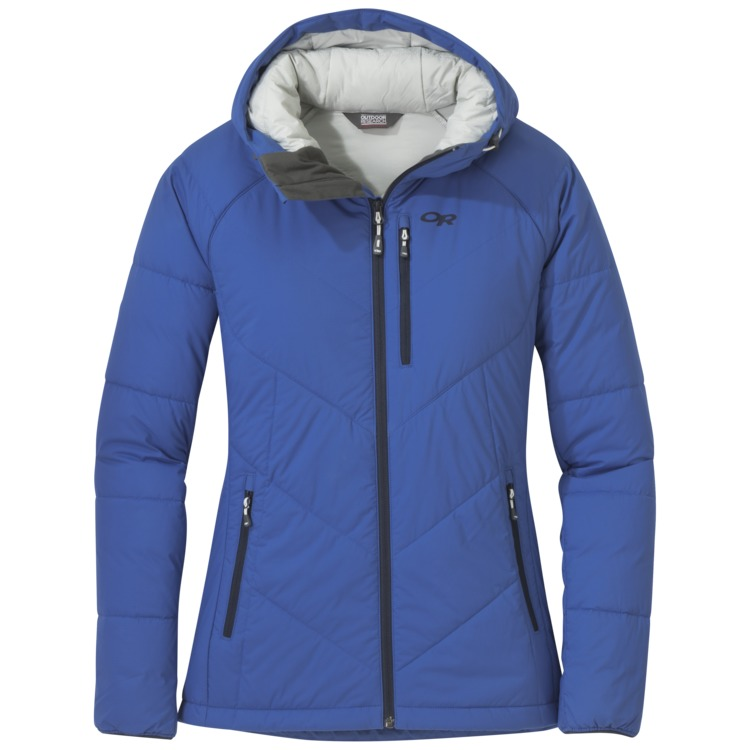 My wife is usually cold, however she was worn this jacket on -15 C days and it keeps her warm. Jacket seems well made and gursble gor how light it is. I wasn't looking for a new jacket but the minute I tried it on I knew I had to have it. Super lightweight, very warm and a fit great. I purchased my usual size small, I'm 5'2, 118lbs. It fits low enough that it doesn't ride up (plus there's a cinch cord) and the sleeves hit about mid-hand for me, which I personally like. Lots of pockets too. I use this for hiking, casual use and walking my dogs. It keeps me warm and I have room to layer. I definitely recommend it. I dont care for the fit of this jacket. I opted to keep it because I really like the peacock color and the feel of the fabric. Also, it fit good enough and I wanted a jacket by OR- this is my very first one! But overall this jacket is an awkward fit. It runs pretty small for one. I am 5'2'', 32B and weigh 105 pounds. Petite sizes fit me best so when I read reviews about the slim fit I thought it would be perfect. I purchased a size XS and the jacket does fit with a thin shirt underneath. However, if I wear anything thicker tee shirt then it feels too tight. 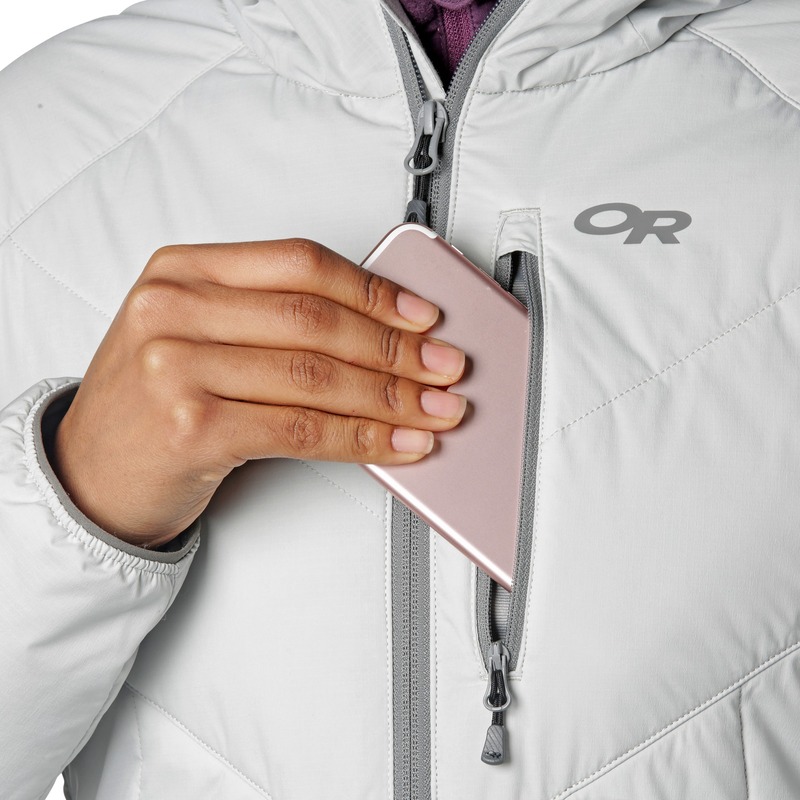 Also, this jacket is too short IMO and it tends to ride up during normal activities like getting in and out of a car or bending over. I find myself always pulling the jacket down along with whatever I'm wearing under it especially if what's beneath is on the thicker side. 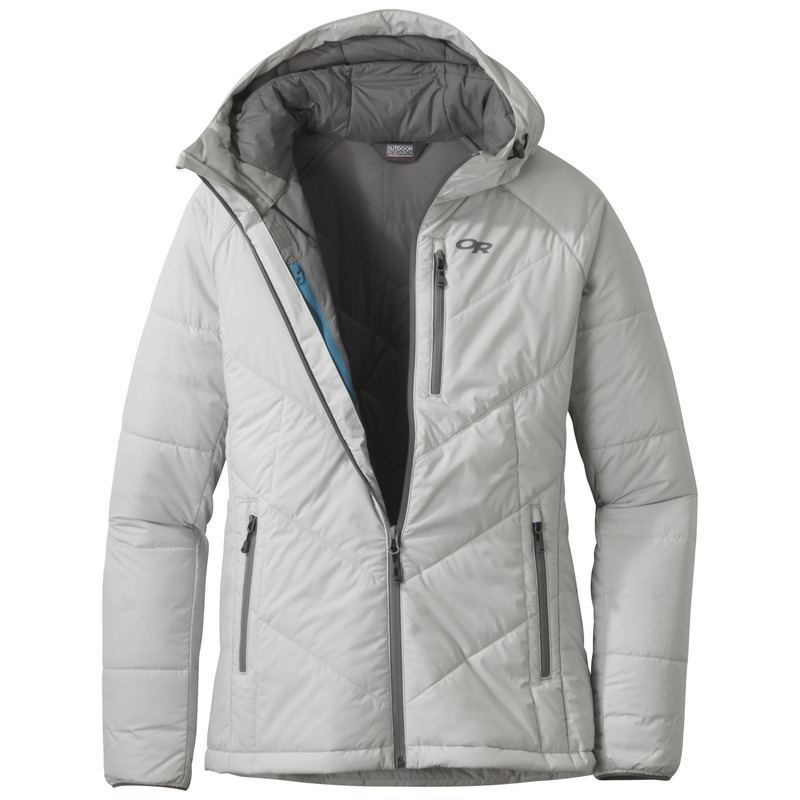 I thought I could wear this jacket under a longer snowboarding jacket because it is a great insulation layer. It's definitely warm and light weight. But, it's going to be a hassle to adjust this jacket while boarding so I'm just going to wear it around town. Also, the first time I wore the jacket, I noticed a tear in the sleeve which makes me concerned about the quality. I already threw away the original packaging so I plan on keeping it. love the fit especially the sleeves not too tight while not looking sloppy. Also like the fact that it doesn't have a "trash bag" look to the fabric like some seem to have. Would have given a 5 if it weren't for the cord issue. When I initially put this on I thought there was no way it would be thick enough to keep me warm. After having about a month I can say it's the perfect casual jacket for the Pacific Northwest. 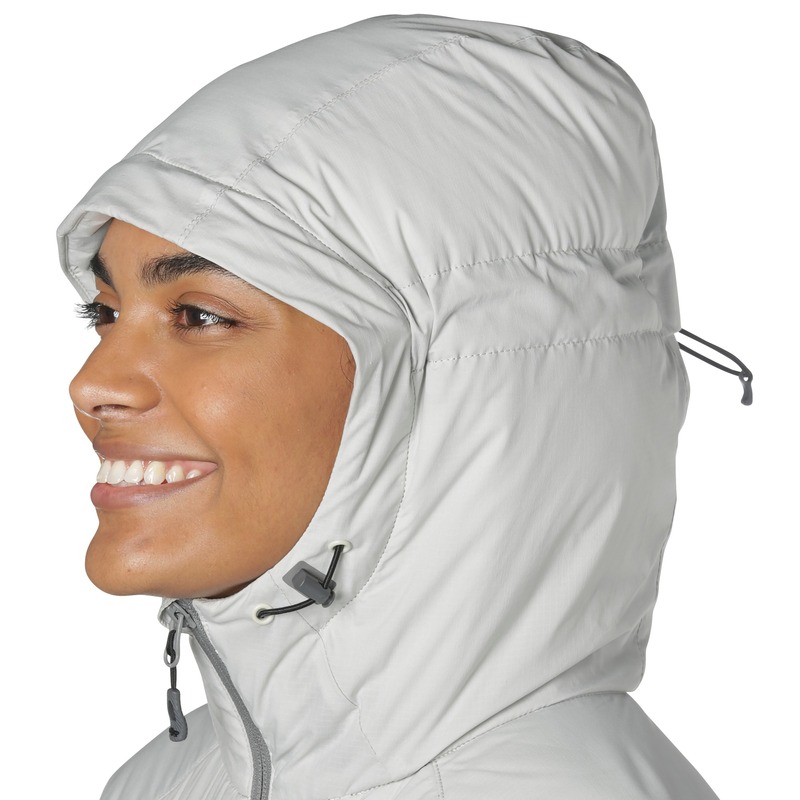 It is great in the 30-50 degree range, it helps block wind and rain but is not completely wind or waterproof. Only negative is the size. I am an athletic size 6 with broader shoulders. I ordered a Medium since it was a trim fit. 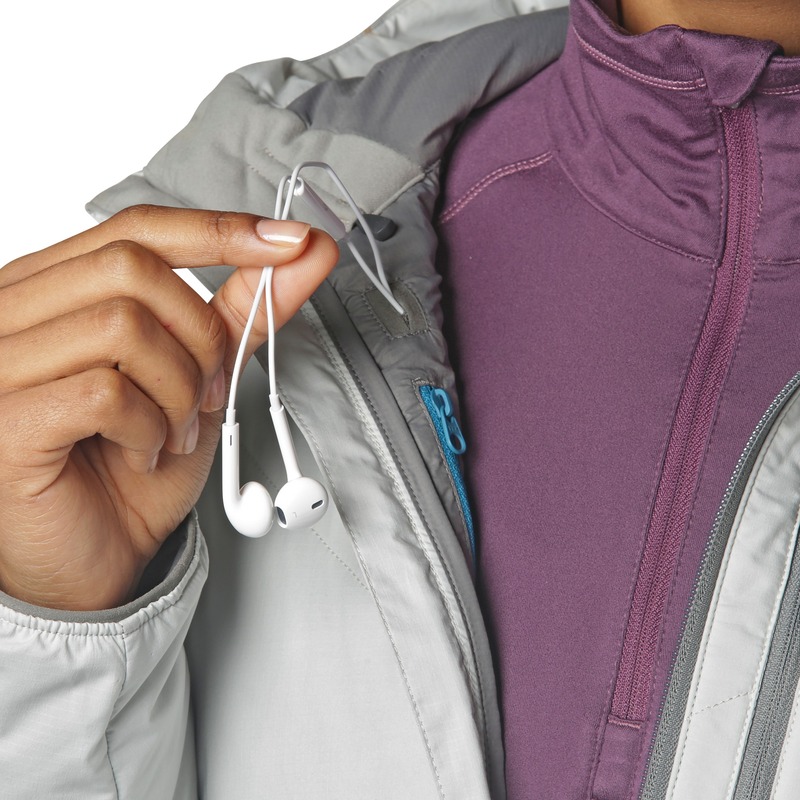 The shoulders are a little tight with layers while the rest of the jacket is baggy. It does stretch and is fine if I am wearing a single top, so it wasn't enough of an issue for me to return it. Overall am very happy with the jacket. 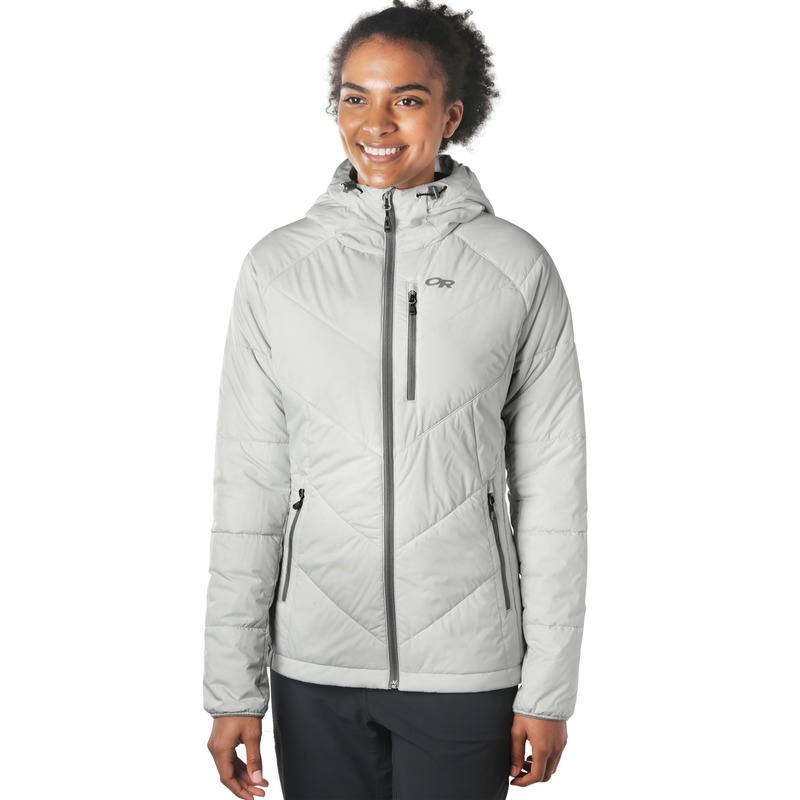 I bought this jacket to replace a busted puffy coat. I was a bit nervous buying a synthetic jacket to replace my puffy, but overall I've been super happy with it. 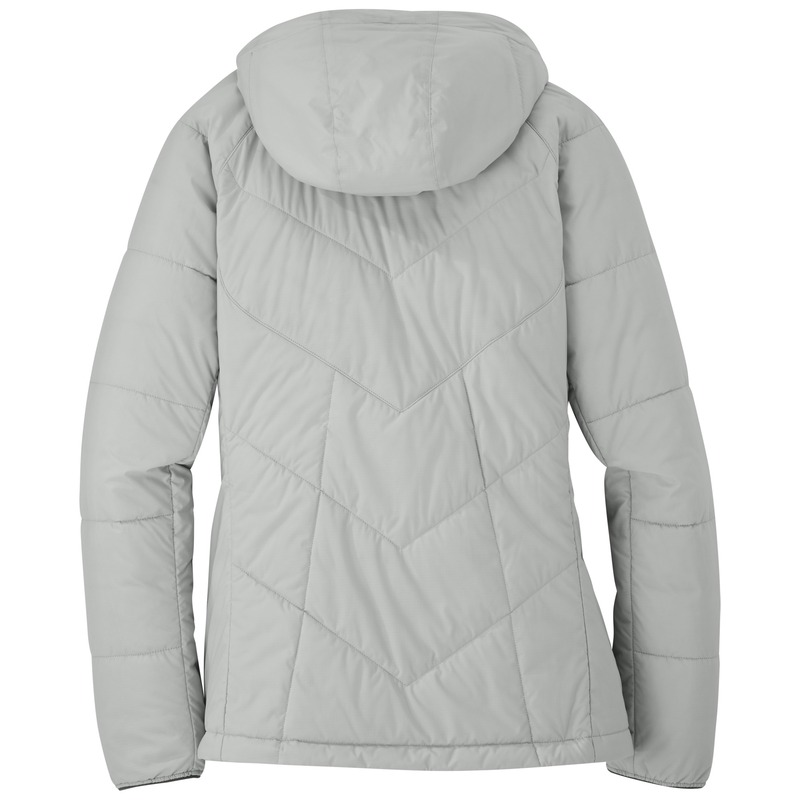 It might not pack down as small as a down puffy, but it is just as warm, stylish, and repels water better than my old puffy. I am 5'4", 130 lbs and bought a Medium which fits great, slim-ish, but with room for a sweater underneath. 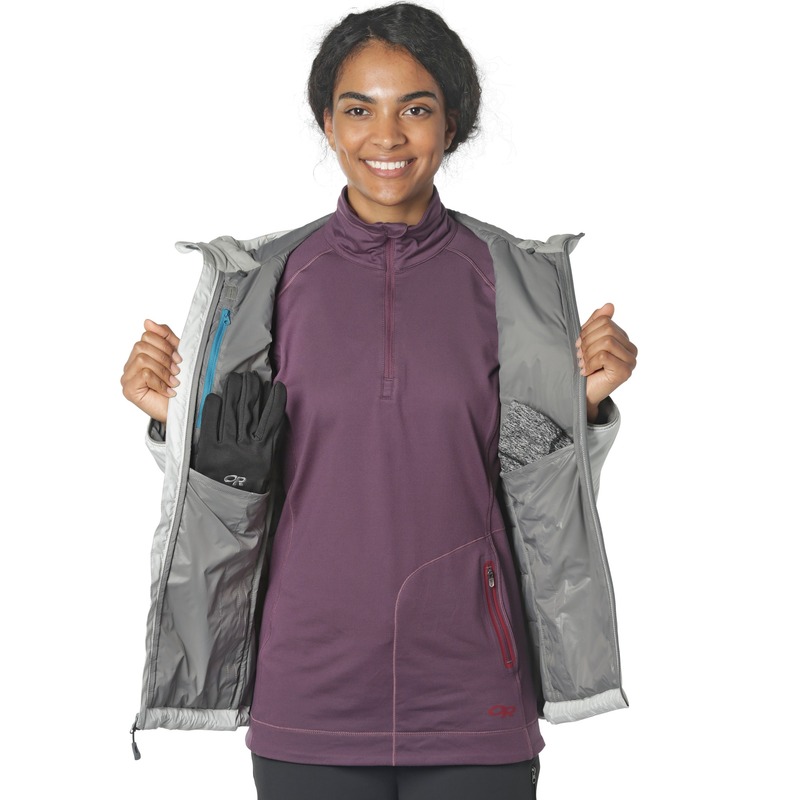 The arms are extra long, which can be weird for casual wear, but is nice for active uses (skiing, biking). 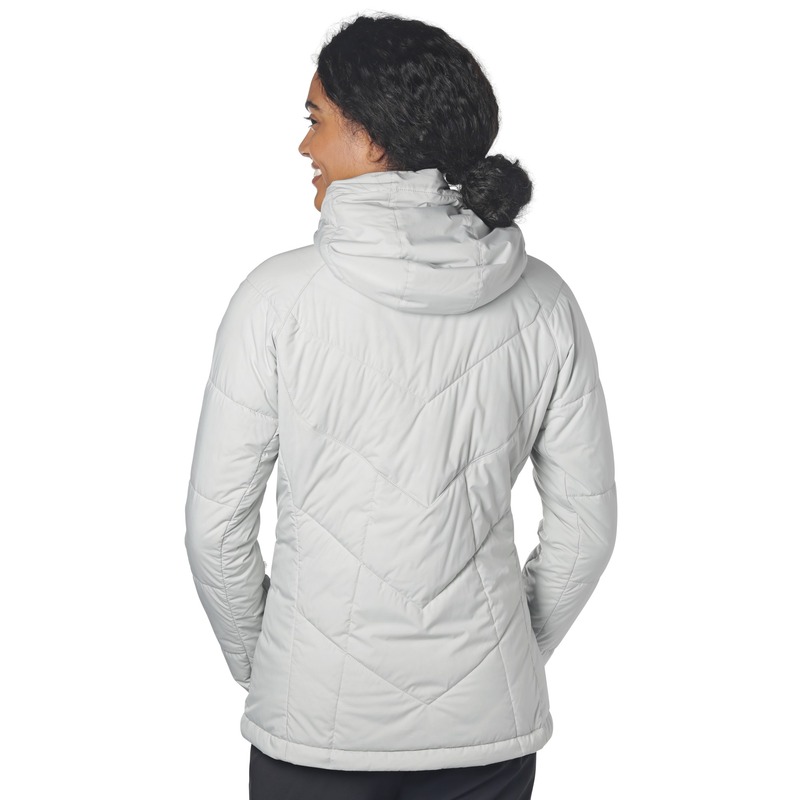 THIS IS A WOMEN'S JACKET AND IT HAS SIX POCKETS! I just had to shout it from the peaks. It's so uncommon, and in my opinion/needs—so welcomed! 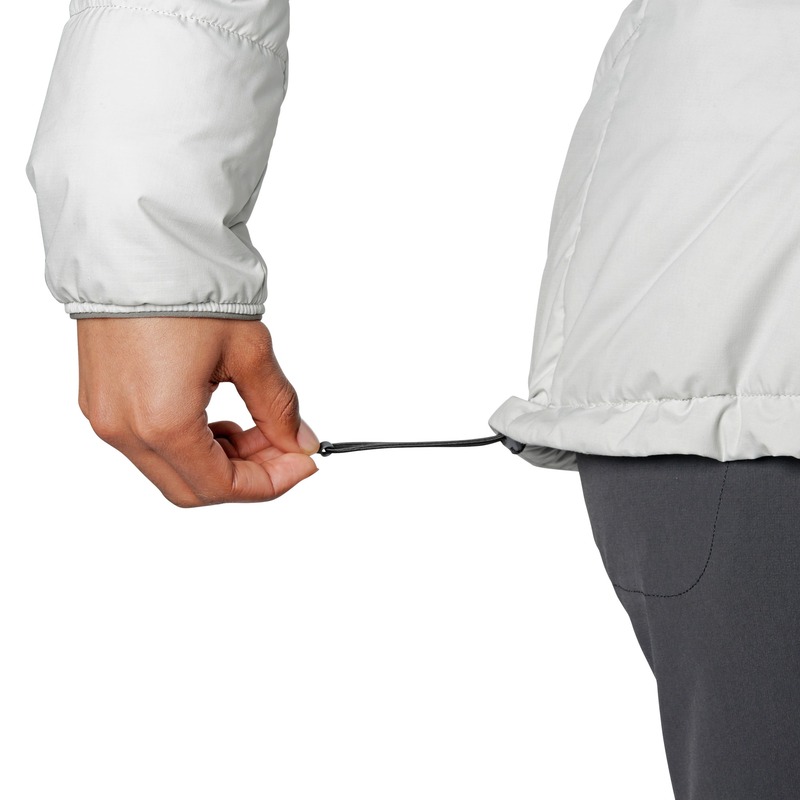 What's nice is that even with a plethora of pockets, the jacket does not appear bulky when the pockets are utilized. This has quickly become my favorite layer, and has been perfect for this (unfortunately mild) winter season in Washington. I have yet to take it into temperatures below ~39 degrees F, but being that I run warm, I have a feeling it will be a great three-season layer. I originally bought a medium, but had to return it because the shoulders were too narrow and I could not lift my arms in front of me. I got the large and it fits great except the arms are really long. Aside from the funky fit I am very pleased with the product! It's pretty close to waterproof and Kees me very warm at temperatures around 25 F with wind. And it looks great! The hood is amazing and actually stays on my head unlike other jackets I wear. 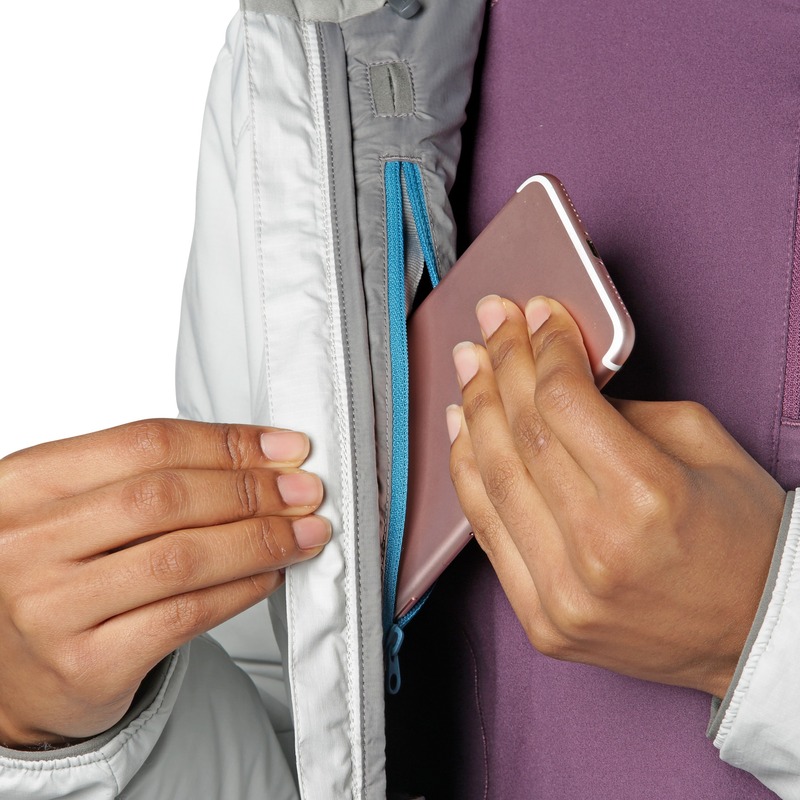 I would reccomend trying thenjacket on before buying it. I really wanted to love this jacket but ended up returning it. I loved the matte material and that this company's logo isn't obnoxious like most others. Loved the pockets and the sleek profile. The cut looked great and the insulation was warm, but despite the "stretchy" fabric description, I felt like the material wasn't stretchy at all. The shoulders were tight for me. I do not have broad shoulders and I'm fairly petite, so getting a larger size would have looked ill-fitting. The other deal-breaker for me was the oversized hood. I suppose it's great if you need to wear a helmet under the jacket, but that was a feature I didn't need nor was made aware of in the description. 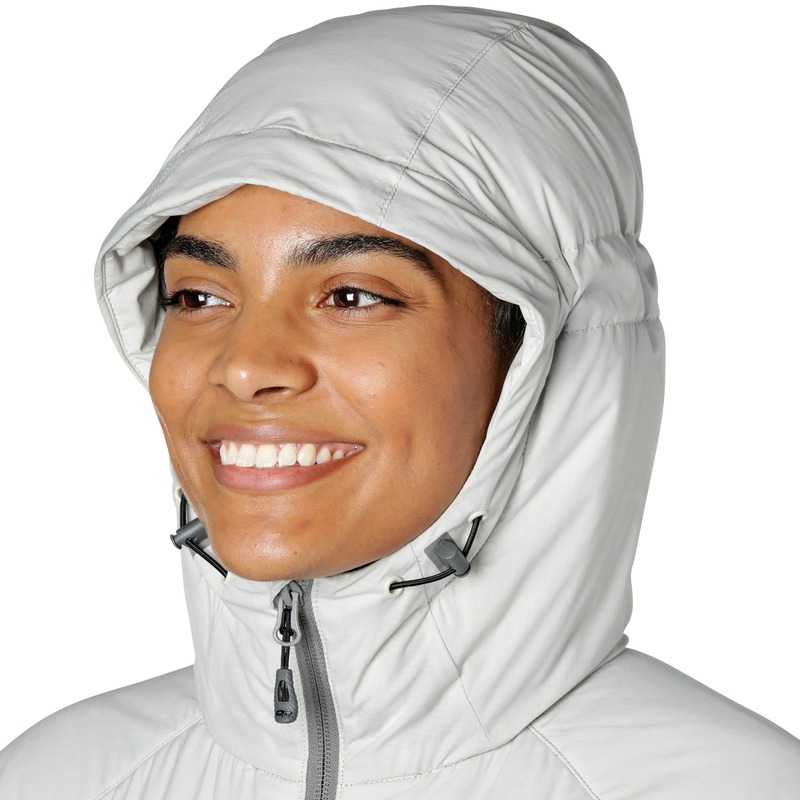 Yes, the hood is "adjustable", however, unlike the sample photos, the actual hood in its folded down position is rather sloppy and very unflattering.